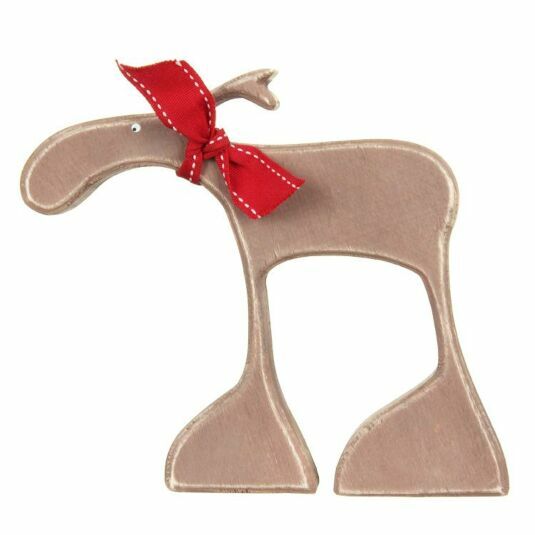 Add a touch of rustic décor to your home this Christmas time with this sweet wooden Randolph reindeer ornament. Arriving from the snow glazed rooves of present delivery, Randolph stands proud and tall with a large footing and thin legs accompanied by a small dotted eye and traditional antlers all steadily supported with a thick wooden bottomed base. He is beautifully finished with a Christmas red bow around his neck. The use of partially sanded edging gives Randolph a very rustic look, perfect for adding some vintage touches around the home. Randolph is also available in a smaller size, perfect for a more subtle piece of sweet décor. 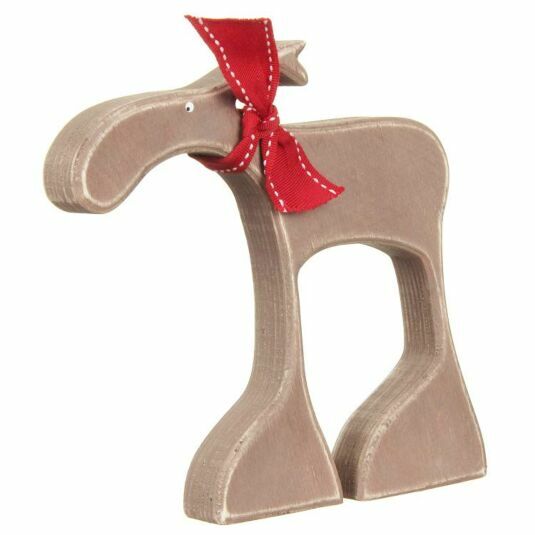 Brighten up your home this Christmas and allow Randolph spread some festive cheer with his humorous shaping and sweet nature.